Sometimes, no matter how great the first version was, the sequel is better. This is true for great films like The Godfather 2, Star Wars Episode 5: The Empire Strikes Back, and the vastly superior Gremlins 2: The New Batch. This is also true for the Ford Mustang Level II Performance Package, found on the 2018 Ford Mustang. There was nothing wrong with the 2018 version of Ford’s iconic pony car — but the engineers at the Mustang Department of Ford HQ decided to make the car they wanted, but without asking the boss first. So read on and find out what those daring designers did to improve the 2018 Mustang’s Performance Package, and why the sequel is better than the original. Now the original was no slouch — some big ol’ tires, Brembo six-piston front brake calipers with big ol’ rotors, an underbody K-brace to match the heavy-duty front springs and super stiff anti-roll bar, Torsen differential, MagneRide dampers, and a unique tuning made the 2018 Mustang Level 1 Performance Package a beast to be reckoned with. No one is going to say this Mustang was inferior, just like no one is going to say Luke blowing up the Death Star (spoiler alert!) wasn’t an iconic moment. But the Mustang department’s engineers wanted something that would bridge the gap between that performance package and the on-track madness of the GT350 and GT350R, and this is where the Mustang Level II Performance Package began. They enlisted a few mad scientists, er- I mean former NASA aerodynamics specialists (wouldn’t you be mad if they told you you couldn’t fire rockets into space anymore?) and spent some extensive testing time in the wind tunnel. The result: an aggressive front splitter, adapted from the Boss 302 Laguna Seca, that spills out about 3 inches from the front corners of the car providing 24 pounds of downforce at almost 129 km/h. But all that downforce on the front of the Mustang Level II Performance Package needed a counterbalance, so the spoiler was reworked. The end result is roughly 60 pounds of downforce at that near 129 km/h, for the whole vehicle. The engineers couldn’t stop there; they just couldn’t help themselves. They said, “You know those big ol’ tires on the last one? Let’s make ‘em even bigger!” And then they all laughed maniacally. Well, I don’t know if that’s quite how it happened, but I do know the result. 19×10.5 inches in the front and 19×11 inches in the rear, the four 305-section-width Michelin Pilot Sport Cup 2 tires they threw on the Mustang Level II Performance Package grip tight and never let go. Meaning that even though there was no focus on weight reduction, and they didn’t change the brakes or the engine (I’m sorry, you’ll have to live with the 460 HP and 420 lb-ft of torque), the new Level II package shaves lap times thanks to an ability to corner with the best of them. It doesn’t hurt that the chassis was retuned to handle all that grip, stiffer springs and stabilizer bars mean you’ll be crawling over speed bumps, but burning rubber once you hit those beautiful, flat stretches of road. And when we say stiffer, we mean these things have gotten more intense than Michael Corleone after he became head of the family (again, spoiler alert!). The springs are 20% firmer in the front, 13% firmer at the rear, and the anti-roll bars are a whopping 67% stiffer in the back. This means that the Mustang Level II Performance Package sits almost an inch lower than its predecessor, and does some seriously gravity defying damage around corners. The Mustang Level II Performance Package was a labour of love for the Mustang engineers. No one asked them to do it, or to outdo the prior performance pack. But just like no one said, “You know what we need? A Gremlins sequel.” But someone decided to do it anyway. And we aren’t complaining.  If you want to find out more about the incredible on-road exploits of the Mustang Level II Performance Package, or learn more about any of the 2018 Mustangs, come visit Team Ford today and find out why this iconic pony car is still leading the pack.